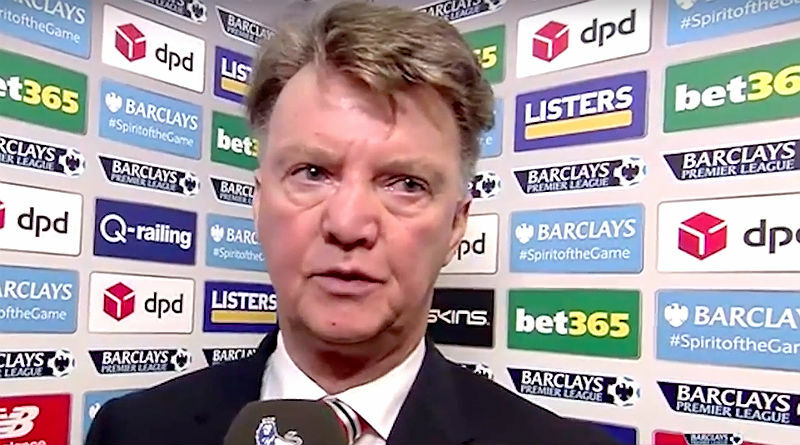 You are here: Home / Soccer / Club Soccer / Old Fashioned Van Gaal Harming Manchester United? MANCHESTER – Louis van Gaal has one more year left on his current contract, but it is highly unlikely that he will return as the Manchester United manager for next season. In fact, at the rate things are going, it’s disturbing to even think that the Dutchman will last out the remainder of this campaign. His style of coaching and playing football — shutting up shop and knocking the ball around unnecessarily — just doesn’t suit and team like Manchester United which is known for playing attacking and exciting football. Yes, things and time have changed since Sir Alex Ferguson retired as manager and other clubs have developed a number of talents. But after spending over £250 million on new players in his tenure, the fans cannot be satisfied with how Manchester United are carrying on. The club’s hierarchy continues to turn a blind eye on the situation, simply because Manchester United are still in the race for a top-four spot. However, if things carry on this way, and the Red Devils were to lose a few more games, they could very well find themselves fighting for a top 10 spot instead of a place in Europe. So why on earth would the board want to continue with this lifeless and unuseful trend that is only bringing down the atmosphere at Old Trafford. The club’s main sponsors, adidas, certainly isn’t enjoying the brand of football at Manchester United these days, with reports even claiming that they would rather see Ryan Giggs getting a crack at leading the Red Devils right now. After Saturday’s alarming home defeat to Southampton where Manchester United had just one shot on target, which came via centre-back, Daley Blind, the club supporters voiced their displeasure at the way the team played and even Van Gaal admitted that it was ugly to look at. The Dutchman said the crowd was right to turn on him, yet still the big bosses are continuing to put up with his nonsense. “It was very clear. It was a poor game for the fans,” Van Gaal said after the game. “I can imagine [why] also because I have seen also a poor match. We didn’t create any chances. The fans turned on Van Gaal over the weekend because they were dissatisfied with the Dutchman’s decision to play a formation which was constantly ineffective throughout last season. Playing at home, they wanted to see Manchester United playing attacking football — not playing with three centre-backs and trying not to lose.